Weatherstrip, door lock, front and rear. 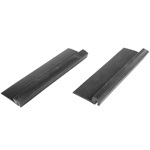 Protects door lock mechanism from dust and weather.Length: 3.625 inches. 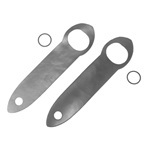 Gasket set, outside door handle. Die cut rubber to exact profile. 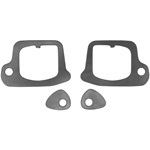 Gasket, front and rear outside door handle mounting pad. 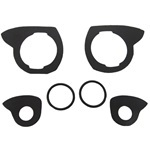 Six (6) piece set includes rubber washer for handle button for two (2) handles. 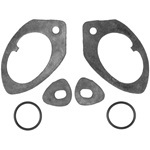 Gasket set, outside door handle. Die cut rubber construction. Six (6) piece set for two (2) handles. 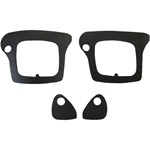 Gasket, door handle. 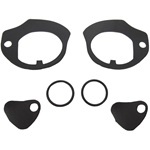 Six (6) piece set includes rubber washer for handle button for two (2) handles. Ferrule and grommet set, outside door handle. 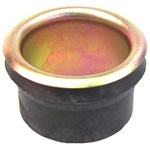 Cadmium plated ferrule with rubber sleeve. Two (2) piece set for one (1) door. Ferrule, outside door handle. Chrome with rubber sleeve. Two (2) piece set includes one (1) chrome piece and one (1) rubber piece. Enough for one door. Bumper, door lock pillar, upper. Two (2) car.Length: 1.625 inches. Width: 1.0 inches. Ferrule, for three fourths (3/4) inch outside door handle. Chrome plated brass. 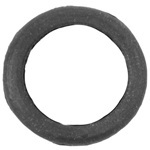 (See #70-0009-69 for grommet). 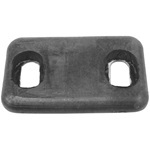 Used for outside door handle or outside trunk handle. 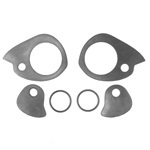 Gasket kit, door handle. 4 piece set. 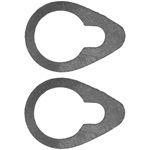 Gasket, outside door handle. Four (4) piece set. Enough for two (2) doors. 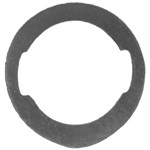 Gasket, door handle. Two piece set. 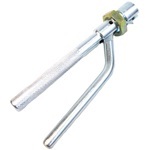 Mounting pad, door lock cylinder, right and left.Length: 1.6875 inches. 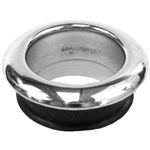 Grommet for outside door handle bezel. 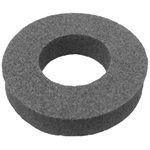 Grommet for outside door handle ferrule. Similar to, but not interchangeable with our #70-0009-69. 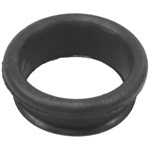 Grommet, for outside door handle ferrule (our #70-0111-69, ordered separately). 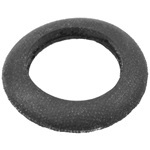 Molded rubber with cloth covering per original. 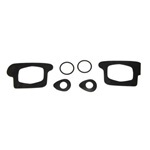 Pressure ring (washer), sponge rubber, interior door handle and window regulator escutcheon. 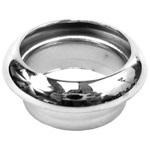 One and three fourths (1-3/4) inches outside diameter by three eighths (3/8) inch thick.